I don’t own any pets. It’s not to say I wouldn’t love one, but due to landlord issues with animals, the rising cost of pet insurance and the lack of time I’d have to give them it seems it will be quite a few years before a pooch graces my household. 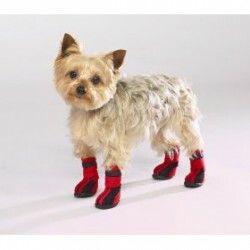 But were I to get one I think it might be considered cruel to dress them up in wellies- no matter how cute. 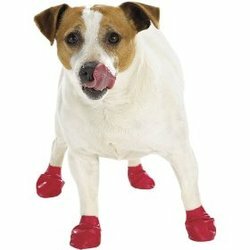 OK, I know these are designed to keep their paws warm, and stop them cutting themselves whilst hiking or playing in the now, but c’mon. They’re babies booties. 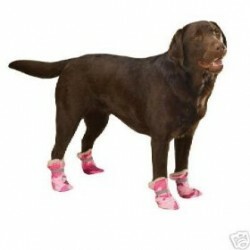 For dogs. And can you even imagine how difficult they’d be to put on? You’d almost deserve to be bitten for trying.